One headline this week read, Procter & Gamble would lay off 1,600 after discovering that advertising on Facebook is free. But how many of your 2000 fans bother to take part in the conversation? Less than half a percent. Learn from Red Bull, Coca-Cola and Nike! Or maybe NOT. I just got back from another convention where an ad agency tried to convince the audience that Facebook was a fantastic way to improve your bottom line. Are you sceptical? So am I. We can probably agree that if a company wants to use social media effectively, it must evaluate its current position with the help of a social media audit (Gattiker, 2012 – coming soon). Moreover, if you run a huge marketing campaign that implies customers are cool and have exciting lives, nobody cares about the brand, as evidenced by this Red Bull branding video. But the Red Bull video also suggests that we must audit how well you do with social media. For instance, a very small percentage of fans that Like your competitor’s Facebook page see the carefully crafted status updates. Accordingly, Facebook status updates are similar to broadcasting a message to an empty football stadium – imagine the Super Bowl without an audience. In the Mercedes-Benz video below, people call for a cab and get picked up by a trailer truck. If you can afford the €200,000 to hire VonMatt to script the story and make the video, you might get 8000 views for the English version and 20,000 for the German one. The question is whether this is a flop. Measure for impact, anyone? Research, based on 400 million Facebook fans, indicates that only 3.5 to 7.49 percent see your status update (Parker, Brian, June 21, 2011). Also, just 0.25 to 0.90 percent interact with the status update. To put this in email campaign terms, only 3 to 7 percent open it. Moreover, less than one percent click-through on one of the links you provide in your email newsletter. That sounds like a nightmare for any marketer. Therefore, 50,000 Facebook fans (or email newsletter subscribers) represent just 3,750 active Facebook likes (or newsletter subscribers). The rest is deadweight, fake user accounts or robots who certainly are not potential clients. Does this suggest that we are producing content that represents added value for the client? Remember our ComMetrics 900-98-1.5-0.5 rule from 2010? It states that 900 out of every 1000 people do not even see your status update or tweet. Only 0.5 percent engage by joining the conversation with a comment on your blog or Facebook page. Want to get trends like this one first? Enter your email address and join over 5,000 followers who already subscribe. 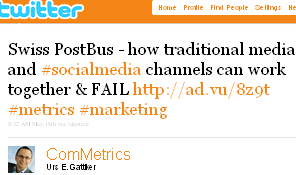 – other ways a user of the social network can interact with branded pages. A recent study used this metric as a proportion of overall fan growth of the top 200 brands on Facebook over a six-week period in October 2011. Data revealed that the proportion of overall fans who were People Talking About This was 1.3 percent. But it gets worse: if one subtracts new likes, which only requires a click (somewhat akin to TV ratings) and focuses on the forms that suggest greater interaction, one is left with only 0.45 percent. Accordingly, less than half a percent of Facebook fans who identify themselves as ‘liking’ a brand actually bother to create any content with regard to it. Reference: I would have liked to give you the reference for the above study from the Ehrenberg-Bass Institute for Marketing Science UniSA, but neither Dr. Nelson-Fields nor Professor Byron Sharp provided a draft or working paper. Do they understand how social media works or just pretend to? You be the judge! Article source – Facebook: Why is nobody listening? We should conclude by listing three take-aways that this material provides. A company like Red Bull does not acquire 26 million fans without any engagement. However, 0.5 percent means only 13,000 actively engage and produce content from Red Bull’s offerings (okay, maybe 1.5 percent because it is cool, but that’s still less than 50,000 people). Do you really want to know how many full-time equivalent (FTE) personnel were required to create all this buzz? Brand growth requires reaching medium and light buyers. Facebook fans tend to be heavy buyers. While Facebook is a useful channel to reach them, it might not be the right place to engage potential and light or medium buyers. Searching for a Facebook audience may be futile. The research presented here shows that Facebook status updates are more like broadcasting news to an empty stadium. People want a freebie or to participate in a sweepstakes. But will they buy more product from you because they are a fan? No, your favorite butter need not apply. Engage with clients on your webpage or blog. If Unilever’s Magnum ice cream, Coca-Cola or Gillette find Facebook a great platform, good for them and even better for Facebook’s early-stage investors. Facebook is the icing on the cake! Nonetheless, provide content that your target audience wants (the cake) on your homepage/blog. There are too many examples where companies have wasted resources on Facebook by ignoring the basics any good marketing strategy must encompass (e.g., Swiss Post Office). PLUS, why would anybody spend money to attract Facebook fans? Fans are not known to purchase more product after clicking the Like button! Are you with me on these trends? Please share your thoughts below (click to write)! fans cannot keep up with all those status updates. Yes, it will get worse and may never get better. OUCH! 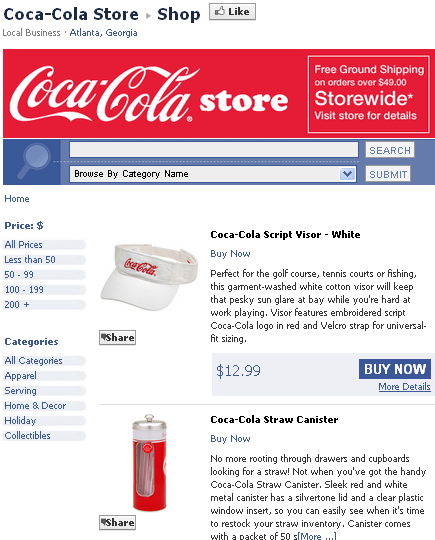 Tip: Search for more ComMetrics and CyTRAP sources on Facebook, marketing and branding (click to query). – What makes a baseline review effective? – Peter Kim – Is social media free? – Going viral or selling product: ROI anyone? By the way, when it comes to the Facebook IPO, investors may be paying for the world’s most over-priced photo-sharing, gaming and social networking site. What they do pay for is something old-fashioned: reach (or just eyeballs – many of them).